I love soup. Especially when I’m under the weather. And for the past few years (coincidentally, since Bella started school) my first cold of the season has been right around this time. It’s a great reason to try out new soup recipes…and this one is a keeper! I skipped the “extras” since I wasn’t really up for cooking, but would definitely add them next time. It was really good without them, though. Heat oil over medium high heat in a large saucepan, then add garlic and brown. Add stock and bring to boil. Add pumpkin and mix well. Add chile powder, paprika and salt. Mix well. Bring to a boil then reduce to simmer, and cook, covered, for 10-15 minutes. Remove from heat and add creme fraiche. 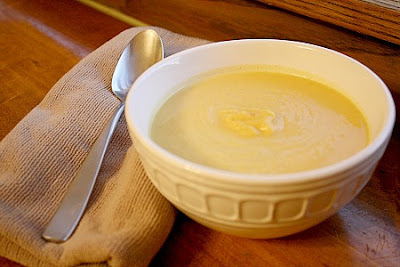 Using an immersion blender or stand blender, puree soup until smooth. Serve immediately with pancetta and oil on top. 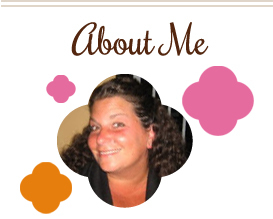 This entry was posted in main dishes, pumpkin, QuickAndEasy, soup. Bookmark the permalink. Looks perfect. The fact that it’s quick makes it extra perfect.